Do you like the look of KDE, but wish it were less resource-hungry? With LXQt, your wish has finally been granted. LXQt is the result of the LXDE Qt team and the Razor-qt team merging together to create a single desktop environment. Both teams had very similar goals, so it made sense. The end result is what they call a Qt (pronounced “cute”) port of the LXDE desktop, one of the lightest full-fledged options currently available Using An Old Computer? Give It New Life With LXDE Using An Old Computer? 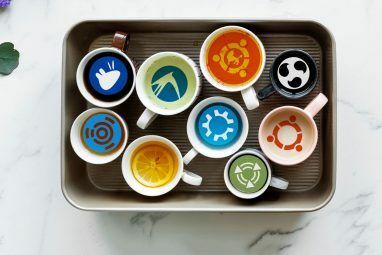 Give It New Life With LXDE As Linux is arguably the most customizeable operating system between it, Windows, and Mac OS X; there's plenty of room to change just about whatever you please. Proper customizing can potentially lead to massive performance... Read More . In other words, they’ve made a very lightweight desktop environment that uses the same technology that KDE, a full-featured major desktop environment, is based on — it can even use the same KWin window manager and the Oxygen icons. Why would you want to use LXQt? It’s simple. There are a lot of desktop environments that have their own goals, but each one usually has some positives and negatives. LXQt brings the best of both worlds together, so now you can enjoy a KDE-like desktop that’s much lighter. Think of it as KDE and LXDE getting together and having a baby. LXQt is that baby. That also brings us to the second reason why you’d want to use LXQt: speed. Because LXQt is so much lighter than KDE, it can speed up your system. It can also be installed on systems that cannot support KDE. 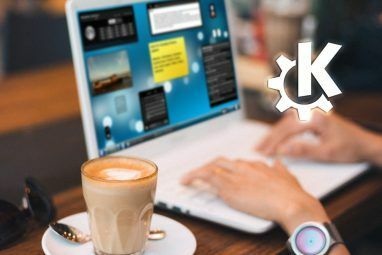 The Qt framework isn’t necessarily more resource-heavy than GTK is — it might just be perceived that way since KDE is the only major desktop environment available that uses it. The developers weren’t kidding when they said that they made a Qt port of LXDE. The desktop looks very similar to LXDE, and even offers similar minimalistic settings, but these are all displayed with KDE-like styling, which is where the changes due to Qt come in. Since there aren’t any distributions yet that feature LXQt, there aren’t any default applications. Therefore, you can choose whatever apps you’d like to bundle with the distribution, although you might want to opt for lighter-weight ones so you’re not offsetting the benefits you’re getting from LXQt. While progress has been great, LXQt is currently in an awkward position where it’s both beta yet stable. The latest release at time of writing is 0.7.0, which usually signifies that the software in question is not yet considered stable. However, the homepage of LXQt says that it’s stable enough to be used on production machines. That leads me to believe that the desktop environment is considered stable (which my own testing has confirmed) but it might still be missing a few features that the developers have planned. Which would be great, since LXQt already feels quite complete. sudo add-apt-repository ppa:lubuntu-dev/lubuntu-daily && sudo apt-get update && sudo apt-get install lxqt-metapackage. For other distributions, you can head over to the LXQt homepage and click on an available distribution — that list currently includes Arch Linux, Fedora, openSUSE, Siduction, Gentoo, and ALT Linux. From there, you need to follow any provided instructions or install the packages that you find there. Make sure that you’re downloading packages for your architecture, meaning i686 for 32-bit and amd64 for 64-bit. Once you have the desktop environment installed, you must log out and then choose the LXQt session from your login manager. In Ubuntu, this means clicking on the Ubuntu logo next to your name and choosing the LXQt Desktop session from the list. After choosing the LXQt session, you can log back in and you should be greeted by LXQt! If you want to install LXQt, it may be better to install it from Lubuntu, the Ubuntu flavor with LXDE by default Lubuntu: A Lightweight Version Of Ubuntu [Linux] Lubuntu: A Lightweight Version Of Ubuntu [Linux] Love Ubuntu, but feel skeptical about 11.04's new Unity interface? Try Lubuntu 11.04, an extremely lightweight alternative to the main branch of Ubuntu. 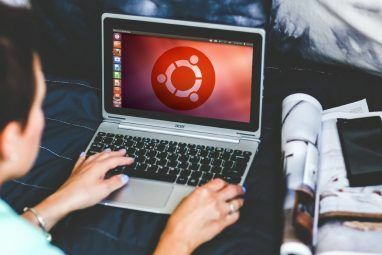 You'll find the menu-driven interface familiar and the resources hit remarkably low.... Read More , rather than Ubuntu. Otherwise, you’ll see a lot of duplicate items in the menus which can get annoying if you want to use LXQt for production purposes. I have a lot of hope that LXQt can go far. I think that it’s the best looking lightweight desktop environment yet — definitely better than the original LXDE and even better than Xfce (without any customizations). We’ll have to see how official adoption by distributions looks once the desktop environment hits version 1.0. What do you think about LXQt? Is it a desktop environment you’re interested in trying, or is it missing something you need/want? Let us know in the comments! 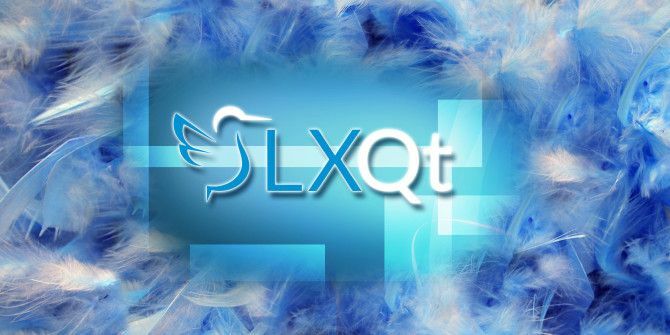 Personally, I can't wait for 1.0 version of LXQt;I mean, you're getting the best of both - lightweight, fast & customisable to the core LXQt & fresh, shiny & fancy part of KDE/Neon. I've been using now for a while a KDE version of Mint for my main computer and LXDE on my older laptop, and this is like my dream coming true. Finally I'm gonna have the same OS on both of them. Only thing that I've got to say is : Thanks to the brains behind the project!!! Greetz from the Netherlands ?? While I agree with the majority of what you said in this article, I don't agree with the title. KDE is based on Qt but LXQt power and beauty doesn't come from KDE at all, it's the Qt display library of routines and visual framework that does all that wonderful stuff. libraries based on it are getting larger and a lot slower. This is where Qt is different, from major version to another, they don't guarantee 100% compatibility but they do warn if there is deprecated code coming up quite in advance to a new major version being released. In which during this time, it gives developers to download the development release before the public can, make the changes, test to high hell, then release their applications and libraries just before the public download of the new major version of Qt is available. LXQt, like the original LXDE based on GTK+ is lacking some control panel features that should be implemented. The desktop GUI is beautiful but could use some polish in the menu system but all of that is for the most part optional in the menus. Comparing LXQt to LXDE is a night and day comparison, I'm glad they decided to fork and rewrite the desktop for Qt, gives it better support for restricted drivers, too. Since AMD and Nvidia both use Qt libraries, while Intel can use either GTK+ or Qt for their window driven installation application. The one thing I like about Qt is, that it's an accepted standard across many platforms; Microsoft Windows, Apple OS X, Apple iOS, Google Chrome (the OS), Linux distributions, the various BSDs and even Minix 3 (when they've completed the development of it), the various phones that use many OSes, too, are supported. I can't say GTK+ has that type of appeal much beyond Linux distros and FreeBSD, let alone forks of it (PC-BSD is a great example). I have to disagree. The latest LXQT 0.8.1 has a lot of problems. First there's the fact that the desktop controls are very limited and built into PCManFM. Most of the desktop options in Razor-QT have been eliminated. Then there's the inconsistent use of theme and color among the control center modules. Then there's the option to use desktop menu from the window manager - it doesn't work with XFWM4's menu. There's also the matter of .desktop files created in both KDE and Razor and successfully used by other desktop environments that LXQT can't seem to use resulting in Error Failed to change to directory " (No such directory) messages. Add to this bad attitude of the dev who closed the thread I posted to mention these problems and the pathetic excuse for these bugs that make LXQT nearly useless. What good is a desktop showing .desktop files that can't launch apps? They won't even work in PCManFM and there's no options to change the default file manager or hide desktop icons. What good is an advanced environment panel that can add blank variables that can't be edited? Razor-QT is still superior to LXQT. All the LXDE devs have done is make LXQT their own barely usable version of the Gnome desktop, a desktop that only works with components they decide you should use. Thanks, nice write up about this. since my solydxk is changing to stable I may replace my Debian machine with a lubuntu with lxqt, i test drove it a while back and it did look great and performacnce was up there with my xfce. Its nice to see another polished desktop using QT maybe this will encourage more QT applications that don't have *everything* KDE contains as dependencies, encouraging more QT applications to be compiled without KDE dependencies. Just discovered SolydX. It is #40 on distrowatch. It is a rolling release, Debian based distro with XFCE (not LXQt), but it has many visual influences from KDE. It looks great and is also very light. It is based on Debian testing branch, but the team only releases the update packs when deemed stable for use. They release the update packs 4 times per year, so you never have to do a clean install on the OS if you don't want to. Thanks for all your Linux articles! Seems Minimalistic. LXDE is way better in terms of aesthetics ,but I assume it must use less resources. wow, didn't know about this, thanks a lot ! Nice to find one that's not over bloated. I just installed LxQt on OpenSuse 13.1 on a low end PC and it looks great! The install took only a few minutes. This is quite a bit faster than KDE on this PC.